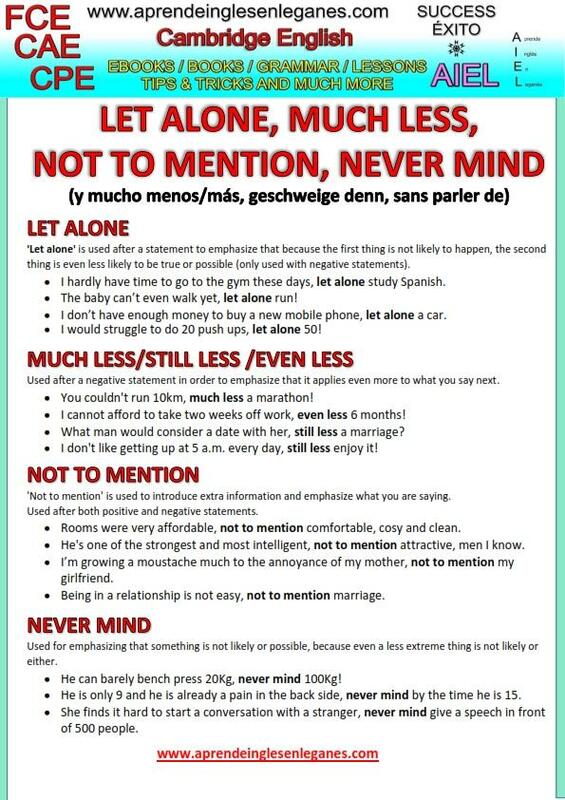 In English, when we compare two things and we want to say that the second thing mentioned is less likely to be true or possible than the first one, we can use the phrases : "Let alone", "Much/Even/Still less", "Not to mention" and "Never mind". Have a look at the grammar sheet below to learn how to used these phrases. by clicking on the PDF icon below.